Though Sri Lanka’s three-decade long armed conflict came to an end in 2009, hopes for a peaceful transition have been marred by ongoing violence against the country’s minorities. Post-war triumphalism and resurgent ethno-nationalism, including the formation of Buddhist nationalist groups, has contributed to an increasingly hostile environment for the country’s religious minorities, in particular Muslims and Christians. This has manifested in various forms, including threats and hate speech, attacks on places of worship and mass violence, enabled by a culture of widespread impunity. 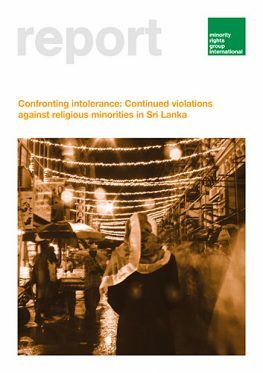 Drawing on incidents documented by local rapporteurs between November 2015 and September 2016, this report presents an overview of the major trends and specific challenges for Sri Lanka’s Christians and Muslims. While the reported data indicates a decline in direct physical violence, suggesting that extremist groups such as Bodu Bala Sena (BBS) and others have less space to operate under the current government, the findings nevertheless demonstrate that significant problems persist. Crucially, there also remain substantial gaps in terms of legal action against perpetrators of religious violence and discrimination. This is despite the fact that the Sri Lankan Constitution guarantees the right to equality, non-discrimination, and freedom of religion and religious worship, highlighting a persistent culture of impunity when it comes to such acts. Ensuring the full rights and protections of all religious communities in the country is essential if Sri Lanka is to move forward from the traumas of its past towards a more peaceful and sustainable future. 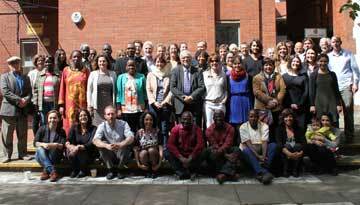 Read more about our work in South Asia.